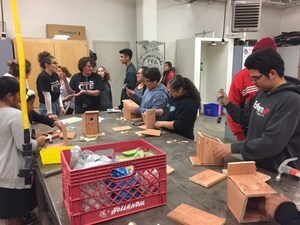 Hemet Unified School District held its first annual Career Technical Education (CTE) Fair in March at Hemet High School. The fair provided an opportunity for students in various CTE classes to highlight things they were exposed to in class to potential students. The Fair was created to provide additional career pathways to students and inform them of possible classes they could enroll in during high school. 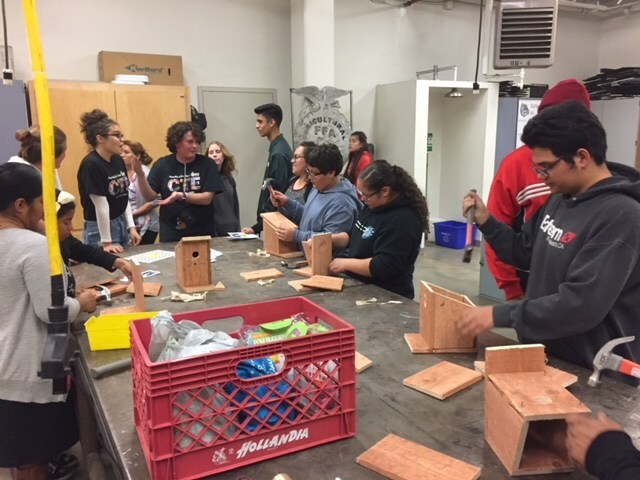 Hamilton High School, Hemet High School, Santa Fe Education Center, Tahquitz High School, and West Valley High School all had booths dedicated to CTE pathways offered on their respective campuses. Students attending the fair were given mock passports as they entered and at each booth they visited, their passport was stamped. People attending the fair were able to visit CTE booths for Medical Billing and Coding, Engineering and Architecture, Transportation/Automotive, Agriculture, Sports Medicine, Foodservice and Hospitality, and many others! Erica Espinoza, Counselor on Special Assignment, and the creator of the College and Career Fair, and staff created this event to expand upon the College and Career Fair. The College and Career Fair happens every October in the West Valley High School gymnasium. This Fair provides opportunities for families to speak to college and career representatives their child may be interested in. The CTE fair was an amazing success and providing necessary insight to students interested in various career opportunities. A huge thank you to our vendors and community donors who helped make this event possible! Military Recruiters Sgt. Pagan, Army and Sgt. Lopez, Marine Corps.